Overview: I have never imagined Nebbiolo as a pretty or elegant variety, it is a brute that requires manhandling to make it do what winemakers want it to do and even then it remains defiant. Nebbiolo is a variety that is lighter in colour but higher in tannins. It requires extended aging in oak for the tannins to soften. When young and unoaked these tannins would be far too aggressive to be a pleasurable drink. Imagine trying to drink a cup of black tea made from 20 teabags that had been left over night to infuse. When these tannins soften the spice and herbal characters of this grape shines but still Nebbiolo really needs a few years in the bottle to come into its own. The most famous example of wines made from the Nebbiolo grape is Barolo. 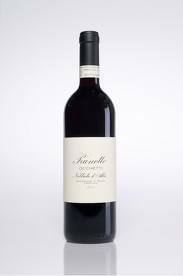 Barolo wines are produced in Piedmont of Italy and must be at least 90% Nebbiolo. Some Barolo can spend up to five years in oak and 3 years in the bottle aging. It has been said that a Barolo needs at least 10 years aging before it is approachable. The wine in this review spent 1 year on oak but is from the d’Alba region which grows a more approachable style of Nebbiolo but in saying that I did find the tannins were quite powerful without food. With food where this wine really impresses. Tannin needs protein to bind to so have this with red meat, piles and piles of red meat. This wine is also a fraction of the price of most Barolo. Tasting note: The brick colour of this wine could be unappealing to some but keep in mind that this is typical of Nebbiolo, it turns orange very quickly. A brambly, minty nose. This mint carries on to the palate. Pepper, chocolate and blackberry foremost on the palate which way to spicy cedar and dusty tannins. Final Say: Looking for a wine to throw in the cellar and forget about for a few years? Look no further. Give this brute five years in the cellar and you will be rewarded. It sells for around $45 a bottle.